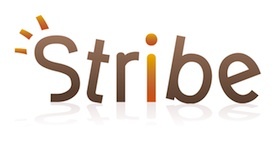 Stribe launched at our TechCrunch50 event last year as a way to easily add a social networking layer to any site. (A few months later, they won the LeWeb startup competition.) By July of this year, they were open for all to try out and use. But for some massive networks of sites, that wasn’t good enough. They needed an API. So Stribe built one. Specifically, Guild Launch, an online community for massively multiplayer online games, needed a way to connect the more than 50,000 websites under their umbrella. So Stribe came up with a REST API that connects to Guild Launch’s databases and allows users to connect to any of the sites with a single sign on. The result is that the entire Guild Launch community can talk to one another no matter which site they’re actually on. That community counts more than 2 million people as members. And since they made the API, Stribe figured it would be worth it to open it up to all. So they’re doing that. “We are very excited to open our API and demonstrate how a gaming platform managing millions of users can take advantage of Stribe,” Stribe co-founder Kamel Zeroual says. He also notes that they’re looking to get involved in the virtual goods market with their service.